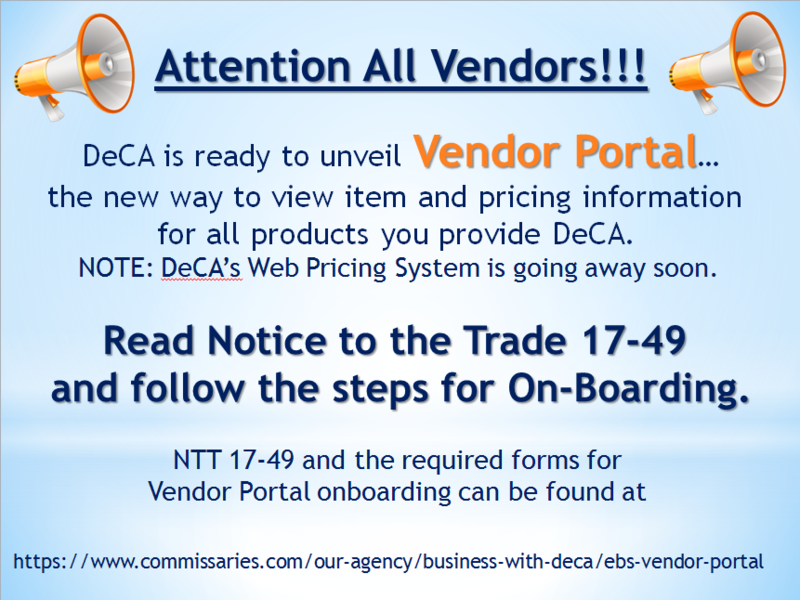 DeCA is ready to unveil Vendor Portal. The new way to view item and pricing information for all products you provide to DeCA. Click HERE to download the public flyer from DeCA. Log in to access MDV Data Services. At MDV Customer Satisfaction is ALWAYS First! © SpartanNash 2000 - 2019 All rights reserved. Please read our Legal Notice. For technical support on the website, send an email to web-admin@spartannash.com.